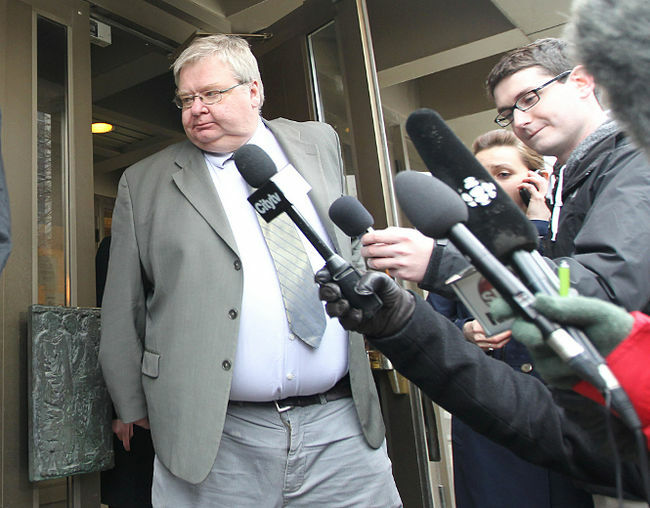 Mark Stobbe’s lawyer spoke with media following his acquittal on Thursday. Tim Killeen makes a number of insightful comments about the case and Stobbe’s defence, presented here in full for the record. We focused on what had occurred. And the difficulty in this case is it was always clear that there was no motive whatsoever advanced, and there was no connection. She clearly had been killed in the yard and her body moved. We focused on that and unfortunately, there was a tremendous amount of evidence dealing with the possibility that somebody had ridden a cycle back — sadly disregarded the fact that there was a pretty clear indication right from Oct. 25th that the car wasn’t there until well after the time when all the cyclists were talking about. The other issue had been always, the DNA was an issue — I don’t know how it was disregarded. On the decision to prosecute Stobbe after Alberta said ‘no,’ and the false widespread impression something had evolved about the evidence in the case over the years. Frankly, I don’t know why this prosecution proceeded the way it did. “As some of you know, the original opinions — plural — from prosecutors in Alberta was not to lay a charge and that decision was countermanded, effectively when it was sent to British Columbia for a decision on prosecution. Nothing whatsoever had changed. The difficulty in deciding to prosecute this case was that you had the entire community left with the impression that there was something new or different or more substantial than there had been before and there wasn’t. There was never additional evidence. The way in which the case proceeded with the motive left a very inaccurate and unflattering and disrespectful picture that really shouldn’t have been put forward. It wasn’t accurate at all. It was pretty clear at the end of the Crown’s case that there really was not anything there that had not been anticipated, and at the end of the day I thought there was a big problem. The tough decision, always, is when you have somebody who says ‘I didn’t do it,’ and wants to be able to advance that story you have to consider the tactical disadvantage that comes from then having to address the jury first and not have the final word. What we wanted to establish all always was that what occurred here was a horrible tragedy — the most tragic thing that could of occurred. Clearly whatever had happened it would naturally cause suspicion to be pointed at Mr. Stobbe. But as you heard after an extraordinarily thorough investigation involving 100s of witnesses, 100s of wiretap conversations … there really was nothing whatsoever to tie him in and at the end of the day that clearly is the way the case ended. There just was nothing there to tie him into this. As I said, there was a very thorough investigation. Most of the investigation did exactly what it should have done. There was … some concern — bear in mind that we didn’t know what the case was until Mr. Stobbe was charged many years later. It, I think it would be fair to say, that the DNA which seemed critical to us really wasn’t given much consideration. And the fact of this bicycle issue really was important to them but at the time we looked at it seemed to be an absurd issue. It was clear that despite the fact the witnesses said they only saw one cyclist, there were clearly at least four different cyclists out there. It was also clear … that the car (Rowbotham was found dead in) wasn’t there until after 1 a.m.